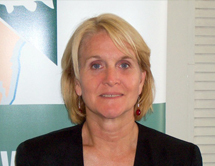 Cynthia M. Sarthou has served as Executive Director of the Gulf Restoration Network (GRN) since 1995. The GRN is committed to uniting and empowering people to protect and restore the resources of the Gulf of Mexico. The GRN works to address issues affecting the Gulf, including water quality, wetlands, sustainable fisheries, smart energy, and species at risk. Cynthia Sarthou is responsible for the day-to-day operations and staff management at the GRN. She works to elevate regional issues to a national level, and monitors federal agency action affecting coastal and marine endangered species in Gulf states. Cyn received her B.A. from the University of Guelph, Ontario, Canada, her law degree from the University of Mississippi in 1983, and her Masters of Law in Law and Marine Affairs from the University of Washington in 1992.